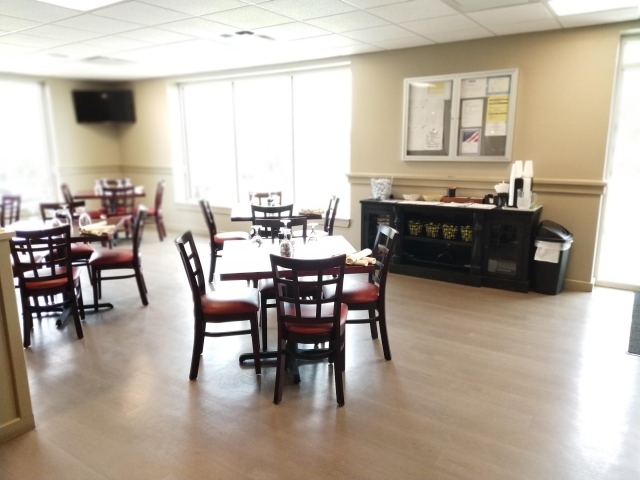 The newly renovated lower level has an inviting atmosphere and friendly staff awaiting to serve you and your guests! 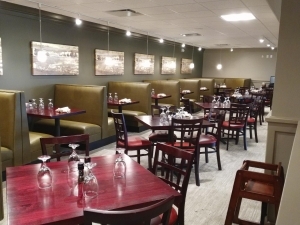 Offering a wide variety of seating options, there is a perfect seat for every occasion from formal business luncheons to avid sports fan gatherings. Be sure to check out the NEW Menu full of unforgettable flavors by Chef Jason and his culinary team. 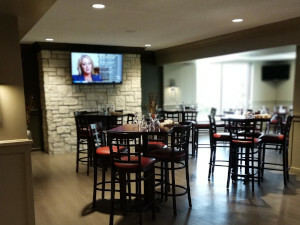 With the ability to accommodate member and non-member functions, Emporia Country Club is the best location for business meetings and presentations, weddings and receptions, luncheons, dinners, and all other special social functions. 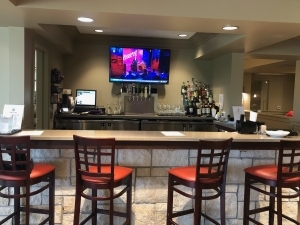 From casual to grand and from informal to over-the-top, Emporia Country Club provides impeccable service from start to finish. On the upper level of the Club is the West Room, Fireplace Room, East Bar and Main Dining Room. The West Room with seating up to 125 people has the flexibility to accommodate larger functions, with a choice of seating arrangements. Complete with a service bar, built-in wood dance floor and fireplace, the West Room offers an amazing location for any event. The Fireplace Room offers a unique seating with gas burning fireplace and inlaid wood flooring. Used for buffets, hors d’oeuvres tables and cocktail receptions the Fireplace Room offers a unique setting to enhance the West Room. The East Bar is a well-appointed sun room with ample windows, service bar and seating for up to 25 people. Perfect for business meetings, social events or dinner the East Bar offers privacy with all the amenities. The Main Dining Room overlooks the golf course and swimming pool and offers seating for 50 to 60 people, the L-shape room with ample glass offers unique dining and social event opportunities.